The rumbling started on Friday. By Monday, I could hear the thunder. Yesterday, the floodgates opened and the storm broke loose....cray cray classroom catastrophe!!!!!!! I am not sure what was going on with my kiddos but I had a headache and even had the thought for the moment that we needed to go out on the playground for a LLOOOOONNNNGGGGG time so I could have some kiddos owe me a LLLLOOOOOONNNNNNGGGGGG time!!! I knew then that I was putting them in charge of my emotions and I needed to remember that the only one I could change was myself. *The kiddos who had the jobs of the Cheerleader and the Kindness Recorder are kiddos who need more help from me in helping them notice others to celebrate and add flowers for. Today I really tried to help the Cheerleader find friends he could celebrate. This helped others but especially him because he has had PMS lately. *We had not done our Conscious Discipline School Family Circle time. 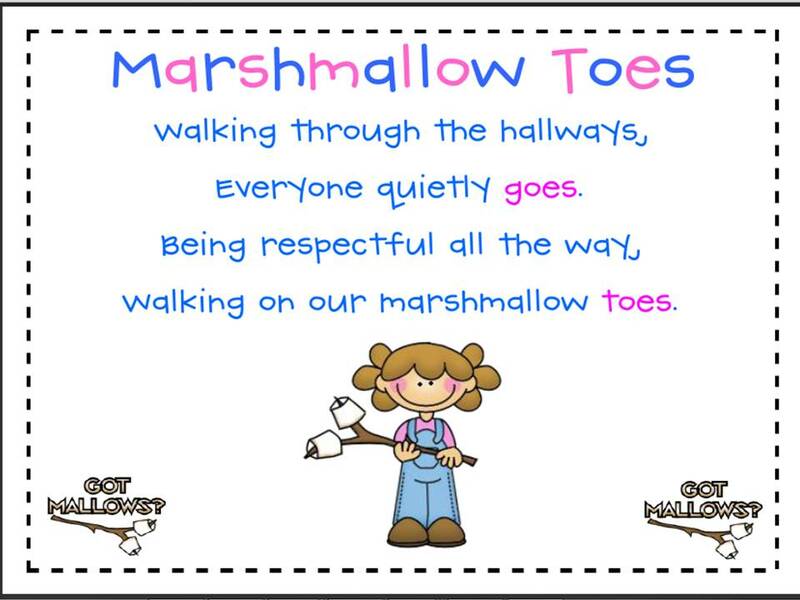 Even though this only takes about 6 minutes, the kiddos need this time to make connections through the songs we sing but REALLY need for us to sing Our School Family Commitment Song. *I was not celebrating all the helpful and kind things I was noticing. I noticed but needed to encourage some of my blabbermouths verbal kiddos more. Tomorrow it is time for me to break out my bubbles! Go visit my post Way to Go! We might also be having marshmallow toes and marshmallow mouths again. Click here to go grab it from Kelli's shop. I'll be back to share about Conscious Discipline and choices. 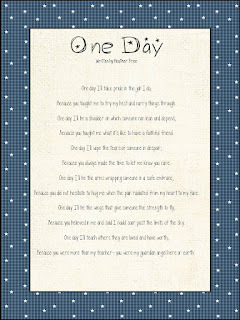 Here is a poem to help remind you what we are teaching our kiddos NOW will make a difference One Day! Marshmallow toes and a marshmallow mouths are pretty awesome too! I would love a heart note or a question about Conscious Discipline I can try and answer for you. Hi Heather! I love your blog and love what you have said about Conscious Discipline. I started using the "I noticed" phrase and hope to incorporate more of your tips into my classroom culture :) I was wondering..I work at an inner-city, low-SES school where behavior management is crucial. Several students in my classroom are angry, defiant, and disrespectful to adults and peers. They roll their eyes, talk back, slam things, etc.and it really interferes with my classroom atmosphere (as well as my well-being!) Do you have any advice as to what to do in these extreme cases? I would love to hear :) Thank you so much for everything. Our kids were crazy today too! I could use the marshmallow toes and mouths with them. Although they probably would demand REAL marshmallows for their mouths! I'm so sorry you had a bad day and a headache to boot. That's the worst. At least tomorrow is a new day and the day before the weekened - hooray! Hang in there. LOVE LOVE LOVE the bubbles! And my kids are talking a lot, too -- I think it's the end of the year. Thanks for this post, I had an awful day yesterday. I needed to read this and feel a little more hopeful. I hope your day is filled with rainbows. I always learn so much from you Heather! I used "I notice" all day long on my subbing day, the kids ate it up! I am going to have to use marshmallow toes and buy some bubbles before my next day in class. Thanks for sharing!! I am LOVING your blog! Thank you so much for following me, I am your newest follower now! I just went back and read the post you referred to about blowing bubbles ON a child--how cool! I was wondering tho, what about germ concerns passing a horn along week-to-week? I love the idea of the kids watching for the good in each other and celebrating it. I totally agree with you on the bed one! I think I have gone to bed at 8:00 every night this week!! I just can't seem to ever get enough sleep! 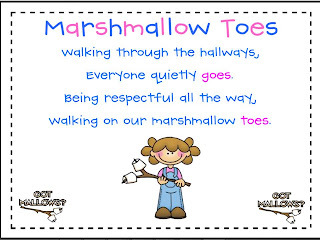 I use the "marshmallow toes" too! I've had to reteach procedure this week because I got a new student on Tuesday. It is exhausting! I finally had a chance to pass on the One Lovely Blog award. 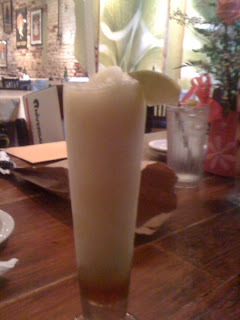 Thought you might want to see the post! Ok good, then it wasn't just me that was having a really rough week! We just got back from spring break so I am making that my excuse as to why my preschoolers are so wild this week! BUT I love the Bubble idea... I am definitely going to have to try that! I usually use flavored/scented lip gloss and give each child a little swirl on their hand when they were "doing the right thing" but I think it is getting a little old.... I need new ideas! Loved reading this post! So familiar to us all for sure. Thanks for sharing more about CD. I also went back and read your "Way to Go" post. Starting bubbles next week! I can't wait! I really need to buy the book! I think that every time you post about CD. I've also been using the "I notice..." sentence stem. I used the marshmallow toes this year and loved it! I just started a blog and would love if your would come follow. Thanks for visiting my blog. I am your newest follower! Your posts are awesome and I'm definitely going to do some summer homework on CD! I will be using the noticing statements ASAP. I would also like to know what to do with the extreme discipline cases as I have a lot of them as I'm usually the teacher that says "Give me whoever if I have what they need!" Needless to say I'm a sucker for kids and will take any of them (not always good for my sanity but if they need me...). Keep the CD posts coming! Thanks for all you do!! 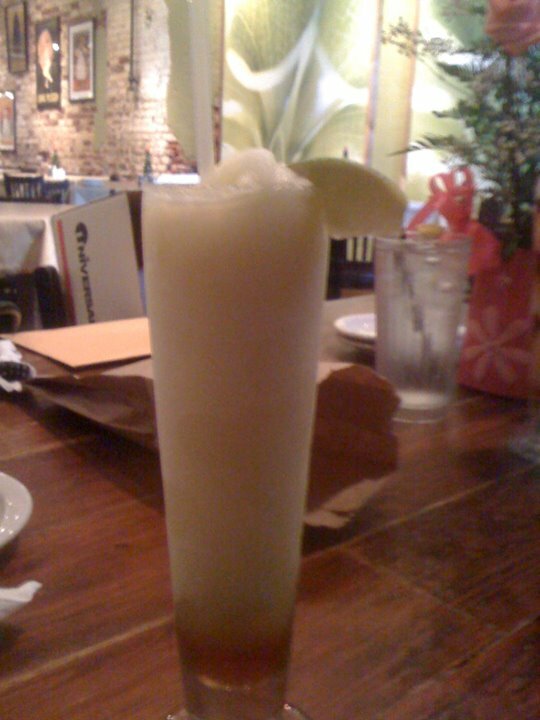 Italian margarita? Uh . . . YES PLEASE!!! You are fantastic. Loved this post! What do you do to foster the school famly? You mentioned you have a song and that it takes about 6 minutes? I need a good song to create the school family. Hoa chúc mừng khai trương cửa hàng hay hoa khai trương giá rẻ...chúng tôi shop hoa tươi đẹp cung cấp đa dạng các sản phẩm hoa khai truong đẹp nhất. Hoa tang le đẹp chia buồn kính viếng đám tang với giá rẻ đẹp nhất hiện nay. Tất cả những vòng hoa tang lễ của shop sẽ được giao đến tận nơi nhanh chóng nhất.